Designed to be hardwearing as well as good looking, this funky black rubber strap watch by Fossil features chronograph and date window and a smart black dial with blue highlighting. A must have for the modern man. 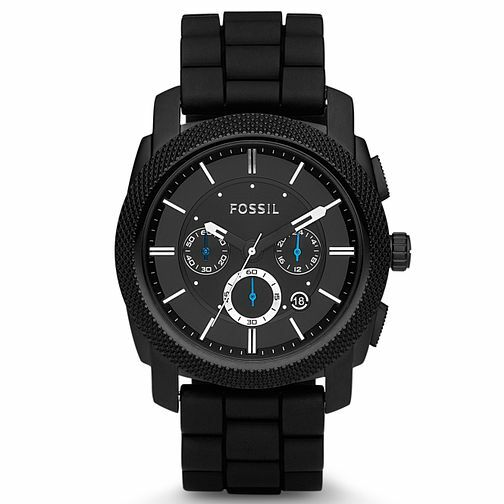 Fossil Men's Chronograph Black Rubber Strap Watch is rated 4.5 out of 5 by 2. Rated 5 out of 5 by Anonymous from Very Happy Love the watch. looks good for casual and dress. Replacement for an earlier model I had that I forgot to take off when diving!